Creating this body of work continues to be an exercise in restraint for me, as the layers of landscape, roots, and region are at the heart of what I want to express. 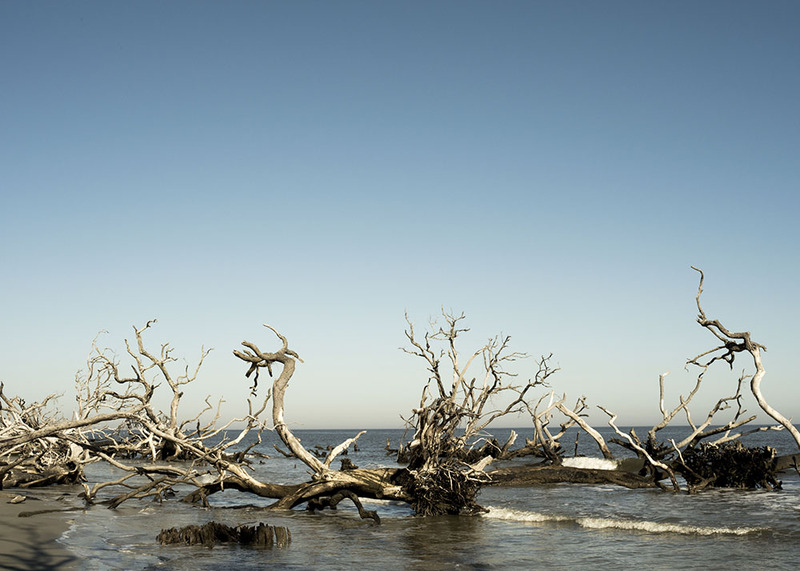 This collection of images is my attempt to capture the essence of where I grew up: The Lowcountry. A region that sits along South Carolina's southern coast, the Lowcountry is a mix of magnificent visual beauty: distinct low-lying marshes; barrier islands; muddy creeks; winding inlets; wide, flat beaches; grand oaks; draping moss; spiky palmettos; camellias, azaleas, and magnolias. It is also very much a distinct culture, steeped in history and tied to the islands, and to a slowed-down pace and softer way of existing. The feeling of the Lowcountry is hard to describe. There is a certain soulfulness and grace that unfolds and resonates from the people who live there, and the effect is comfort, strength, connection, timelessness, and peace. Over the years, I have struggled to capture my sense of that soul and grace in still images because what I want to convey is a kind of nurturing dynamic of people and place, yet through the imagery of landscape. As I continue to add, to edit, and to refine the images in this collection, I hope to ultimately build a cohesive body of work that feels right.